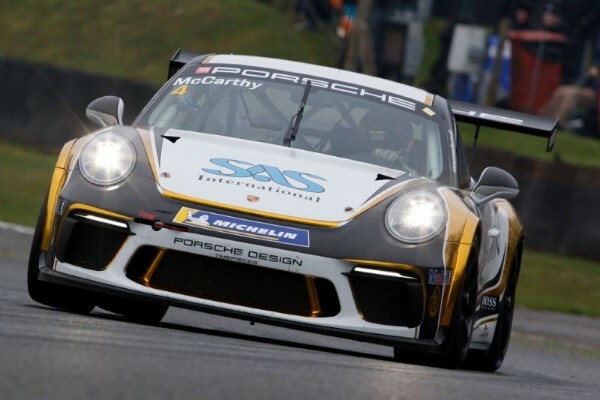 Jack McCarthy launched his maiden campaign in the Porsche Carrera Cup GB in superb fashion this past weekend (06/07 April) as he fought his way to a pair of Pro Am class podium finishes at his home circuit of Brands Hatch. Following two successful campaigns in the Renault UK Clio Cup, the rising star has made the transition to GT competition for the first time and he got up to speed with his Porsche 911 GT3 Cup car during a successful pre-season testing programme. A short trip down the A20 from his home in Bromley, Brands Hatch served as the perfect venue for McCarthy to make his Carrera Cup GB bow and a strong showing in free practice on Friday saw him end the day just two thousandths of a second shy of the best Pro Am time. McCarthy’s first qualifying session in the championship proved to be a challenging one with changeable weather conditions presenting a small window of opportunity to post a competitive time when the drying circuit was at its best. The 18 year old adapted well to the challenge and produced an impressive display to put himself eighth overall on the timesheets and second in the Pro Am class, giving him a great platform to fight for silverware across his first two races in the championship. Moving onto the tail of the Pro Am class leaders, he kept in touch with them throughout the remainder of the contest with some consistent, competitive lap times, going on to take the chequered flag third in class for a richly deserved debut podium finish. 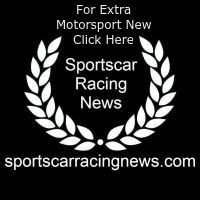 It proved to be a similar story in the second race of the weekend, with McCarthy once again running in hot pursuit of the top two in the Pro Am class. With limited overtaking opportunities, a composed drive saw him run third throughout the contest to complete his podium double. On top of his Pro Am success, McCarthy was also the leading Rookie across the weekend and holds an early advantage at the top of those standings heading into the next rounds of the Porsche Carrera Cup GB at Donington Park in three weeks’ time (27/28 April). Jack McCarthy: “I knew that my debut weekend in such a competitive championship as the Porsche Carrera Cup GB was going to be a real challenge, so to come away with a pair of podium finishes is really pleasing and a great way to start the season. “Every time I get in the car I’m learning a lot and the changing weather conditions this weekend presented me with lots of new scenarios to tackle. I felt like I dealt with them well and showed that I have strong pace in all conditions, which bodes well for the rest of the year. “Unfortunately overtaking opportunities are limited around the Brands Hatch Indy circuit in these cars, so I didn’t quite get the chance to make further progress up the Pro Am order, however I’m happy that I showed I have the pace the be right there with the class leaders.